Phone (970) 325-4833 or email info@canyoncreekjeep.com for information or to make your reservation today. Our Jeep rental office is conveniently located at 827 Main Street in Ouray, Colorado. The San Juan Mountains surrounding Ouray, Colorado contain hundreds of miles of Jeeping roads for all levels of driving experience. We would be glad to give you expert advice on routes that would be appropriate for your skill level and what you desire to see. Below is a small sampling of available trails. Relatively sort, but gorgeous up and back trip ideal for an evening or partial day trip. This basin is know for its outstanding wildflowers, as well as its beautiful scenery. The popular Mr. Sneffels is accessed by this road. 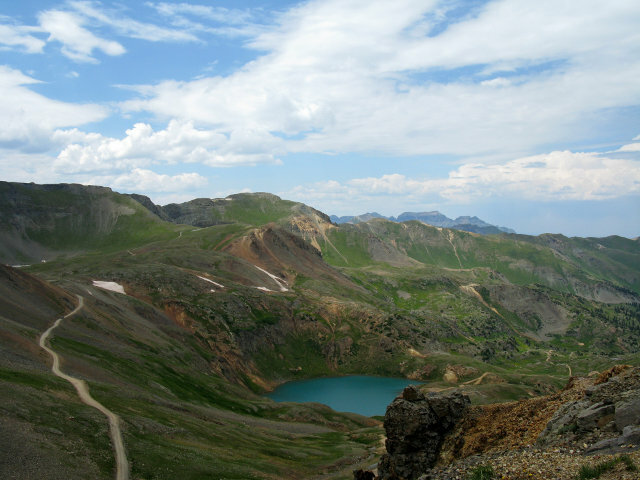 One of the highest passes around, this popular road connecting Ouray to its neighbor over the mountains, Telluride, is recommended for those with a bit of Jeeping experience. The view from the top is almost unbeatable. An often over-looked, but stunning and relatively easy day trip, Corkscrew Pass, Hurricane Pass and California Gluch are an excellent choice for a first trip through the San Juans. They are so pretty they may be worth doing again. 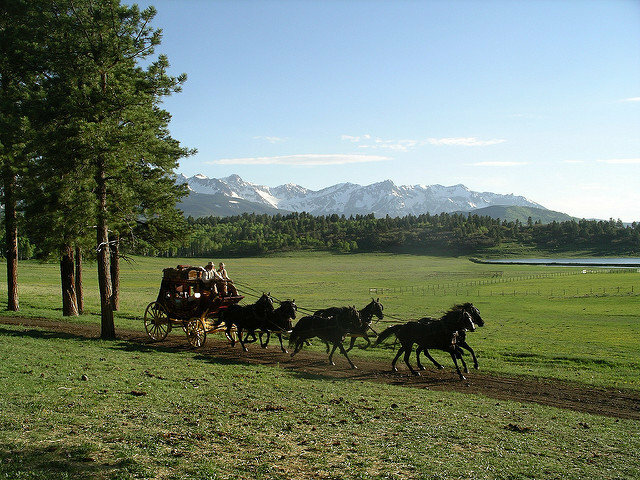 Along the way, see the beautiful blue Lake Como, stop by the Animas Forks ghost town or check out what Sliverton has to offer. An easy, but scenic alternative to the highway as a return from Telluride after coming over one of the more difficult mountain passes. No rough Jeeping here, but the views will not disappoint. 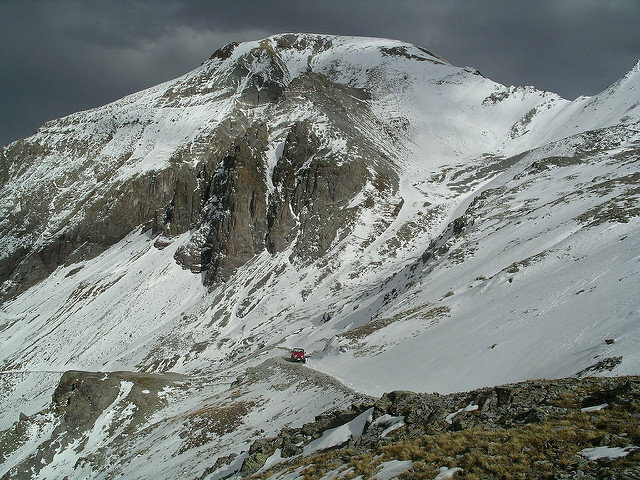 A mid-level route that connects the Million Dollar Highway with Lizard Head Pass, as a way into Telluride. Ideal for those who would like to take a Jeep road to Telluride, but aren't up for the difficulty level of Imogene. Along the way you get the bonus of seeing the ghost town of Ophir. If you are out for some serious Jeeping, this rugged route might be for you. Often included as part of the Apline Loop, connecting the Million Dollar Highway to Lake City, get up early and prepare for a long day. 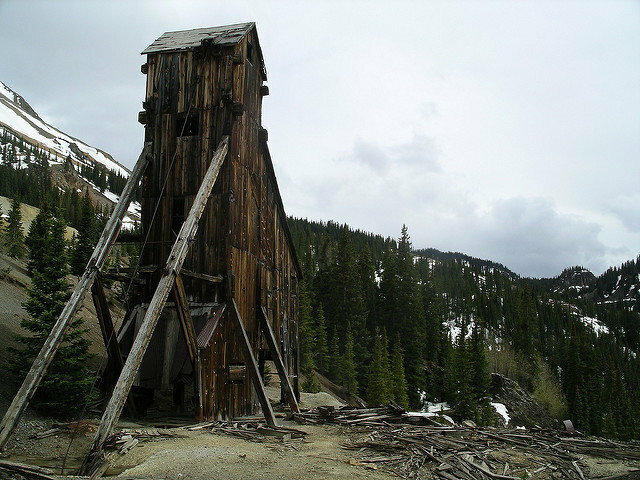 Expect lots of breathtaking high alpine views as well as opportunities to see glipses of the San Juan Mountains' mining history along the way.